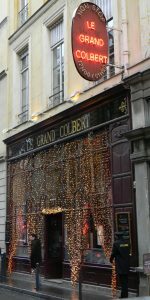 From my friends at Paris by Mouth … a comprehensive look at the restaurants that are open (and, more importantly, what’s closed) during the holiday week. Be sure to check this out if you plan to visit the City of Light for the holidays! Especially helpful is the breakdown of openings/closings by arrondissement (the term for Paris’s 20 official districts). This entry was posted in Cafes and Bistros, Christmas, Restaurants and tagged Christmas, Holidays, restaurants by Bob Adams. Bookmark the permalink.